The appearance of an unfamiliar outdoor cat in your yard can create problems in your existing feline family. If your cat is allowed outdoors, the appearance of an unwanted feline stranger can result in fighting. Not only is this extremely stressful to both cats but there’s a strong probability that one or both will get injured. 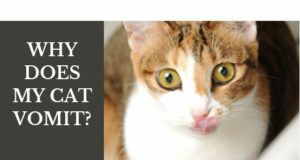 Abscesses commonly result from cat bites because bacteria can get trapped in the tissues after the wound has sealed over on the skin’s surface. Abscesses are extremely painful for the cat and veterinary care is required. Often, a surgical drain must be inserted to allow the abscess to heal from the inside out. Not a pleasant experience for any cat to have to endure. There are also other injuries that commonly occur during a cat fight and you certainly don’t want any cat, whether he’s yours or not, suffering in any way. Free-roaming cats may not be vaccinated and disease transmission becomes a risk should there be an interaction with your own cat. If another cat (or any animal) comes into your yard and frightens your outdoor cat, he can end up getting chased out of the area and that can put him at risk for getting hit by a vehicle during the chase. It also increases the chances that he may end up lost. Whether your cat is an indoor or outdoor kitty, the appearance of an unfamiliar cat outside can spark spraying behavior. With indoor cats, a common spray target is either at the window where the outdoor cat was seen or on the wall opposite the window. In multipet homes, redirected aggression is a potential risk if an indoor cat spots an unfamiliar cat in the yard. Since he can’t gain access to the outdoor intruder, he lashes out at the nearest feline, canine or even human family member. Redirected aggression can be minor or it can set companion pets up for a long-standing feud if not immediately and appropriately handled with behavior work. When a fearful or timid cat sees an unfamiliar cat outdoors it can cause him to hide more and feel as if his home is no longer a safe place. Just because YOU know the outdoor cat can’t get inside doesn’t mean your cat understands that. If you know who owns the cat you can attempt to talk to the neighbor but that’s a very touchy situation. 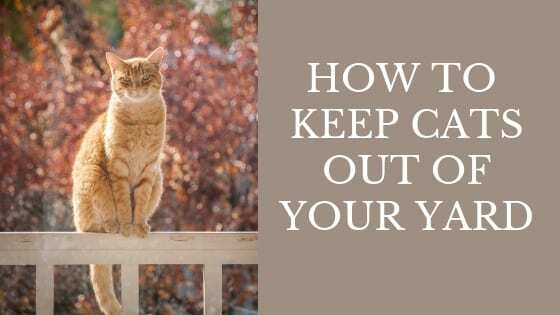 If there’s a chance you can tactfully talk to your neighbor about keeping their cat indoors, then go for it but keep in mind that people can get extremely defensive when confronted about a pet’s behavior. Next: Should You Use a Laser Light Toy With Your Cat? I’ve had good luck with the Contech CatStop Ultrasonic Outdoor Cat Deterrent. We were already having problems inside between two male cats, one being a stray we’d taken in, the other a long time family member cat. When the neighbor’s cat sprayed our glass doors it only added to the upsets. The device mentioned above did help keep him away and using the recommendations in your books, things are much better inside these days. The “keeping cats out of your yard” article is okay..if you live in the city. What about all the ferrel cats that keep showing up at our home in the country..which beat up on our cat…? We’ve had to catch and “get rid of” 9 cats in the last 8 yrs. 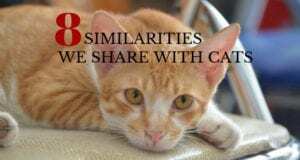 I would most definately be afraid of my cat coming in contact with other cats outdoors that may fight for territory, have parasites,upper respiratory infections,and viruses like feline leukemia, and FIV…. scary stuff. I always enjoy learning new things to help cats live happy and safe.